The glorious fall season has begun to paint the Duluth landscape with its vibrant colors. The parks, mountains and forests are transformed into a wonderland of fiery reds, oranges and yellows. In addition to hiking, there are many ways to explore the autumn beauty. Stroll the gardens of a historic mansion, drive a scenic highway or watch the countryside roll by on a relaxing train ride. After your adventures, return to the serene Solglimt Bed and Breakfast location overlooking Lake Superior. Our lovely inn offers visitors a gourmet breakfast, with wonderful lakefront views and elegant guest rooms. Book your fall getaway with us today and catch the peak autumn colors. As Duluth dons its fall colors, visitors and locals alike rush outdoors to witness the splendor. Many choose the wonderful hiking and biking trails, while others opt for a winding drive through the landscape or a day long train excursion. All are great ways to see the landscape bursting with the hues of autumn. Duluth hiking trails are always beautiful but they are at their most magical during fall. Right outside our door find the lovely Lakewalk along the shores of Lake Superior. This paved pedestrian and bike trail leads to the picturesque Rose Garden and Leif Erikson parks. However be sure to make time to explore the charming gardens at the Glensheen Mansion. Another nearby trail is the one at Sandy Park Point and has breathtaking 360 degree views of Lake Superior. For more great views also explore Enger Park, and climb the five story Enger Tower for beautiful panoramic views. For a short hike walk the Lester Park Trail, a gentle wooded trail with views of the lovely Lester River. While experienced hikers can challenge themselves on the Superior Hiking Trail. 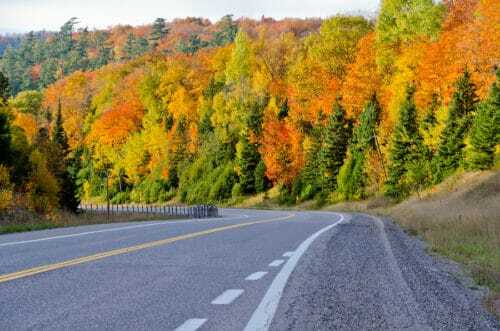 To get a grander view of the scenery around Duluth consider a day driving one of the two scenic highways. The Duluth Skyline Parkway has stunning lake views and amazing trails to explore. Begin your journey at Enger Park then stop at Chester Park and the Hawk Ridge Nature Reserve. The charming extension called “The Seven Bridges Road” is worth the extra time. 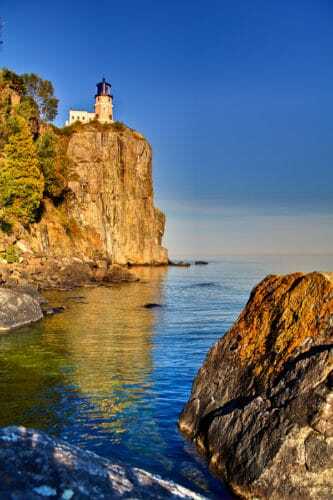 The North Shore Drive hugs cliffs and beaches providing stunning views of Lake Superior. Popular stops on the route include the enchanting Gooseberry Falls, Iona’s Beach, and Split Rock Lighthouse. 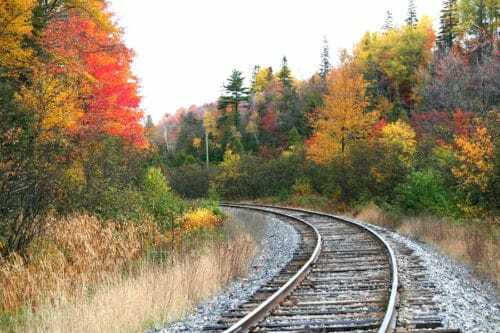 For an all day fall excursion book a North Shore Fall Color Train Tours along Lake Superior on the North Shore Scenic Railroad. This 6 hour tour invites guest to relax as they travel to historic towns and watch the fall scenery go by. The trip includes a two hour stop in Two Harbors to stretch your legs and get a bite to eat. It’s a wonderful carefree way to spend the day. The intense color of the season is fleeting, and that’s what makes it so special. 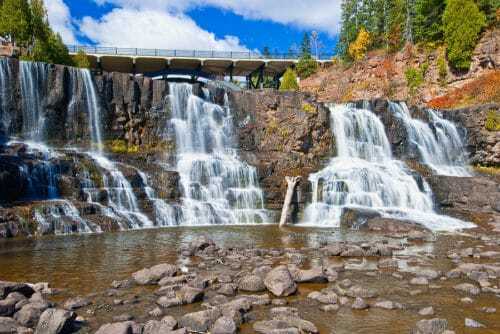 Visit Duluth before the brilliant colors begin to fade. Reserve your room today at the Solglimt B&B for a tranquil autumn vacation.